This mouse is amazing, love how it feels and looks premium. Along with that it was 11 keys to reprogram making this(in my opinion) the perfect balance between MMO amount of keys and FPS amount of keys. Definitely will recommend this to others. This particular mouse is lovely because you can plug this in and treat it like a wired mouse. Or if you're feeling lazy and want to lay down, you have that option as well to pull the cord and make it wireless with the wireless usb dongle. It comes with a wired USB cable, and wireless dongle. Good if you have long hands and need only a few buttons to work with. Good mouse, but would not buy again. 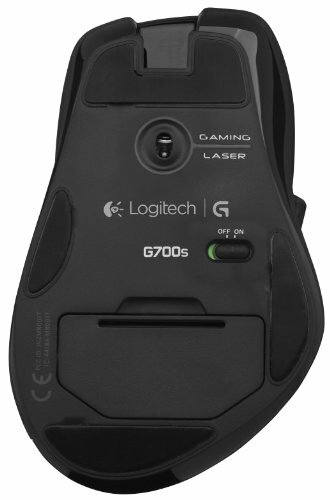 I went with the Logitech as I have always used their wireless mouses before and praise them for their reliability, ease of use, and battery life. None of those are really true for this one. Battery dies after a day of idle and about half a day for gaming. Its not bad, I just find myself leaving it plugged in most of the time. software is clunky, doesn't recolonize different game profiles, and macro-buttons have to be bound to existing keys, not just their own. I also have a pad falling off the bottom, causing it to drag when moved. The wheel gets stuck sometimes when locked. I can't recommend this mouse, but it is still a good choice dispirit these issues. This mouse is just spectacular. 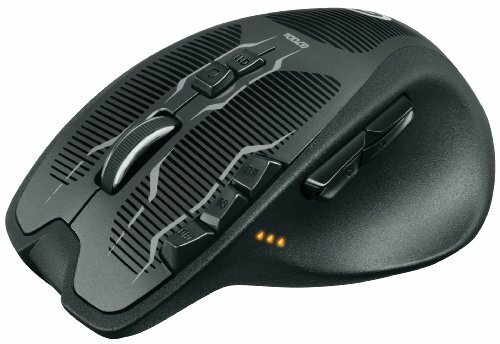 Great DPI range (like 200-8200), can easily set up 5 profiles that hold 1-5 DPI settings, 11 programmable buttons, rechargeable, very comfortable, great weight, sleek design, I mean how can you go wrong with it? I'd spent months jealous of my friend having this mouse and finally after finishing my build I got around to ordering this and could not be happier. 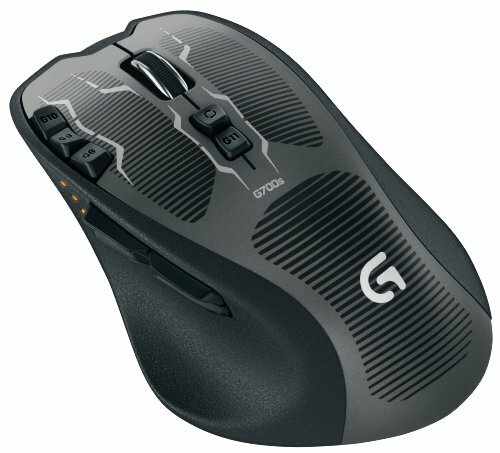 Pros Range, driver, Macro keys, free scroll wheel option. Cons somewhat heavy for claw grip, battery dies very fast (recharging every day even with low-performance mode), Scroll wheel is not steady on fast/free mode and can easily move as you use the mouse (not good in games), sometimes lifting the mouse make you miss click the side buttons. same thing with my keyboard. Passes with flying colors. Replace the battery with a cheap ebay rechargeable with a bigger capacity, do that and the mouse will last for DAYS. Other than that, a very excellent mouse besides the kinda heavy charging cable. 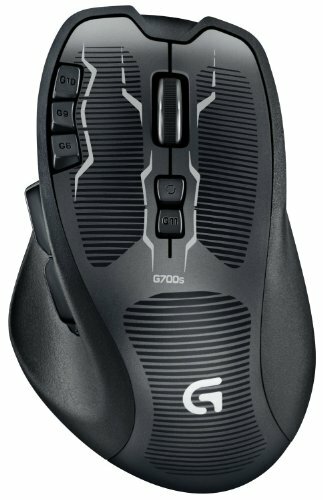 May be the old flagship mouse of Logitech G, but still the great for those who want logitech but don't like the weight/size of the G502. Buttons beyond compare, buttons beyond belief. If you want more buttons, get a G600. The included Eneloop battery is a nice touch. software- 1 out of 5- TERRIBLE, uses lots of system resources for a peripheral control program, a headache to get the mouse to connect on setup, button bindings are lost all the time, power management is not great, crashes after coming out of sleep.